Kids Cinema, Full Gluten Free Menu, Hot Stone Steakhouse and 4* Holiday let above the Inn. Dogs are allowed everywhere in the Restaurant. Whisk yourself away to The Galley of Lorne, our award winning 17th Century Drovers Inn nestled on the lochside in the picturesque village of Ardfern, on Scotland’s dramatic west coast. The perfect location for long walks and exploring with your dog. Pets are of course permitted in their owners rooms, in the public bar and around the public area of the grounds (unfortunately not in the lounge bar or restaurant). There is a charge per night per pet (see tariff page on the Galley of Lorne Inn’s website). The Argyll Hotel is Kintyre’s only beachside hotel. There are stunning sea views from the conservatory, lounge and outdoor seaside terrace. Ideal for relaxing with your dog. There are great walking opportunities for you and your dog across the whole peninsular. The hotel beach has been rated by Elle Magazine as one of the top 5 dog friendly beaches in the UK. 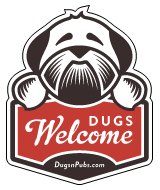 There are a total of 34 dog friendly listings in the Pubs with Rooms category. Please log in, or sign up as a member to view all listings.